Are you suffering from the January blues, or the post-Christmas slump? Fear not, it’s competition time again at Parcel2Go! Once again, we will be offering £50 worth of Amazon vouchers to give away, and it couldn’t be simpler to enter! There are no questions to answer, and no riddles to solve. So to be in with a chance of winning, simply like and share our competition post on Facebook, or retweet the competition on Twitter. It really is that easy, so get liking, sharing and tweeting now! The competition closes on Monday 14th January, so good luck, and don’t forget to tell your friends. 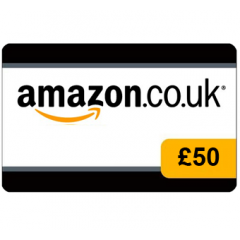 How would you spend £50 worth of Amazon vouchers?